Physio-Control LIFEPAK® 1000 - includes two sets of adult electrode pads, battery, soft carry case, and quick reference card. 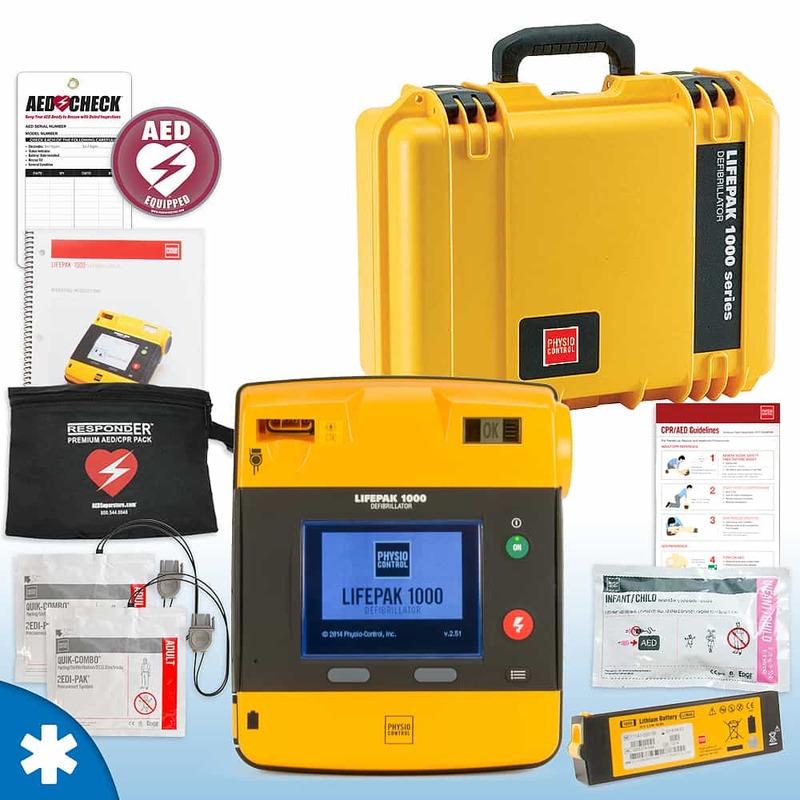 Complete Hard Shell Carry Case - Watertight, Hard-Shell Case Designed Exclusively for the LIFEPAK® 1000 Defibrillator. Infant/Child Electrode Pads - Infant/Child Reduced Energy Defibrillation Pads for use on children up to 8 years of age or 55lbs. This product works very well for our department. As a matter of fact, this is the 2nd unit we purchased because it works so well. The unit is compatible with the County EMS squads units and we are able to hook our leads to their machines once they arrive on scene. We don't have to take the pads off and then put theirs on, therefore wasting pads. We would recommend this unit to all fire departments.